This treatment is fundamentally different from all previously known procedures for the eyelashes such as eyelash extensions or eyelash perm. 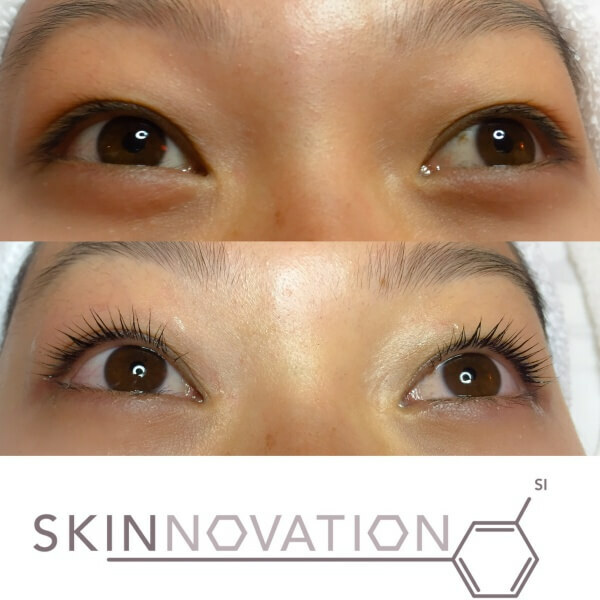 It is a unique keratin-based lash-enhancement technology. 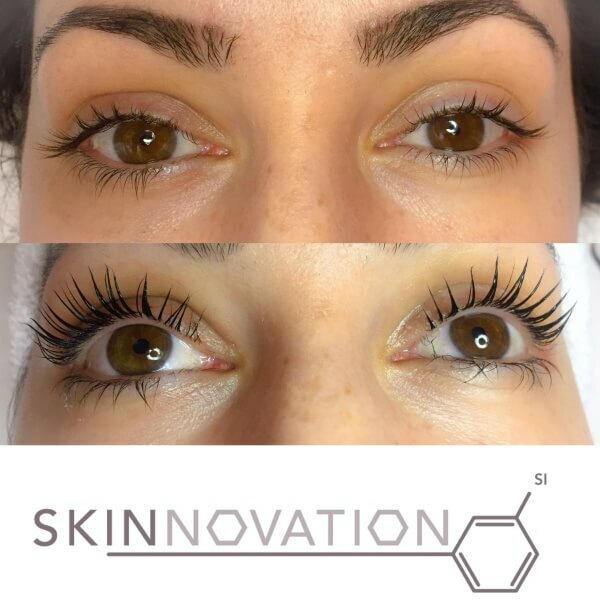 Advanced technique and treatment designed to boost and lift the natural eyelash without the need for fake eyelashes and was created as a luxurious alternative to eyelash extensions, fake eyelashes, false lashes and growth serums. 1. Not your typical fake eyelashes. 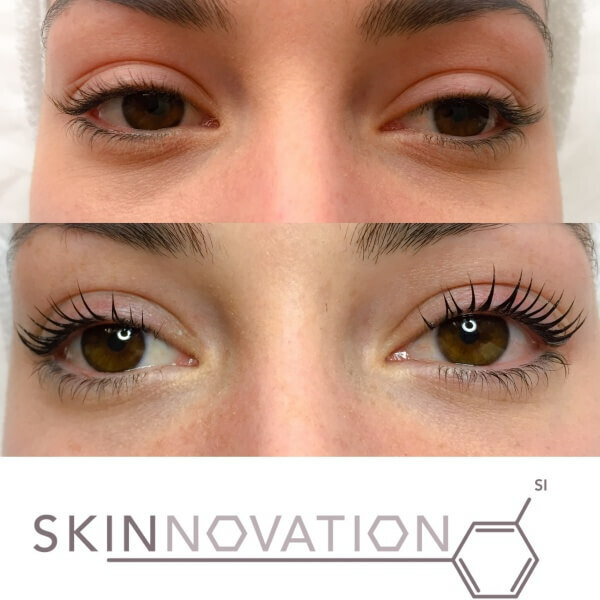 This is a keratin lash enhancement where your natural lashes are lifted up and filled with a special pigment infusion. As a result, you have thick, dark lashes that beautiful curve upwards. 2. It's also a treatment for your lashes! It is not only for instant dramatic results, but also a treatment. During the procedure, we use special Yumi Lashes formula that infuses your natural lashes with keratin to make them thicker and stronger. It is a great treatment for anyone with brittle lashes or looking to recover after the extensions. When your lashes are in need of recovery, the dramatic effect may not be the first thing you are after, so this treatment will make your lashes thicker, stronger and also lifted. The YUMI™ Lashes product is the very definition of elegance and high-end keratin lash treatments in the industry today. European brand of lash enhancement products made in Paris. No harsh chemicals. Paraben- and formaldehyde-free. Full volume of your lashes is back. You can apply treatments, such as lash growth serums and keratin mascara. Keratin mascara is additional at home treatment that strengthens and conditions your lashes in between lash lift treatments. It's a clear gel mascara and the main ingredient is Keratin which coats and penetrates into each eyelash cilia. It helps to recover the structure, nourish and ensures healthy growth of the lashes. Keratin mascara hydrates eyelashes and protects it from harmful environmental factors. Right after application, it leaves eyelashes shiny and glossy. Can be used instead of traditional mascara for the natural look. It is recommended to use keratin mascara twice a day morning and evening. Also, it can be used as a primer before the traditional mascara application to prevent lashes from over-drying.